Claire is a Legal Executive in the property team. 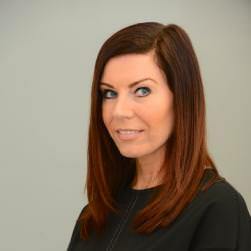 If you’re looking to move house, re-mortgage or buy a rental property, Claire can help. Claire advises on all aspects of buying and selling residential property, and works for developers on the sale of new houses and apartments. Claire is a Chartered Legal Executive and re-joined Actons in 2017 having previously spent over fifteen years at the firm. Away from work, Claire regularly attends the gym and in particular spinning classes. Claire also enjoys cruise holidays. "From phone calls to meeting all members of staff very friendly and cheerful. Claire Townroe is very professional at her job at the same time making you feel relaxed and able to ask her questions. FIRST RATE!" "Always brilliant!! We have instructed Claire a few times to sell or purchase our homes, she is always friendly, efficient, professional, has great attentions to detail and would recommend her to anyone, very happy! :-)"
"Bought and sold effortlessly. The whole process was made very easy by Claire and Amanda. Selling your home and moving to the country isn't something you do too often but they handled the whole process sensitively and made it all very easy."